IMPORTANT - Restrictions on use Check that it is OK to use the lower of the bottom landing fields before flying (top to bottom 650' / 200m). A stunning site only marred by very tricky top landing. 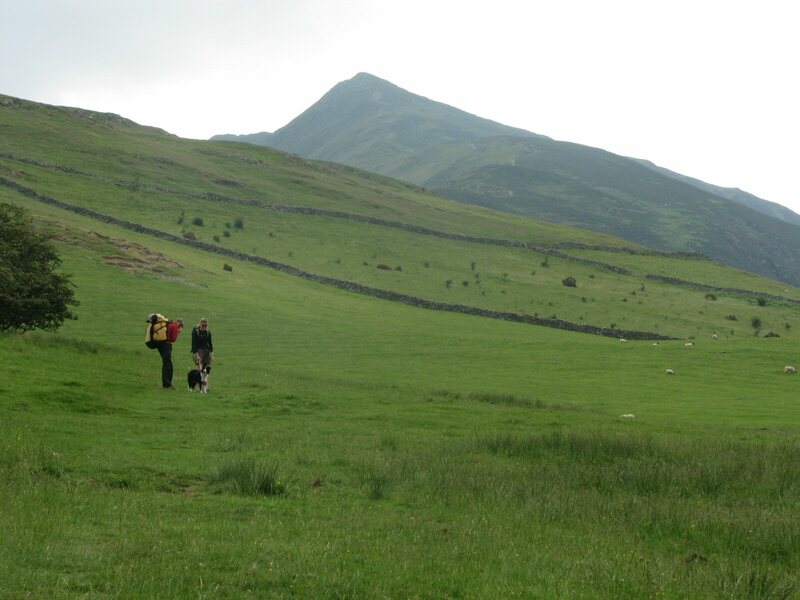 From Ullock the whole Skiddaw area can be explored. About 500m NNE of the parking area. The point is near the 164m spot height is on a 1:50000 map. If you're coming from south and west, stop before you reach this point. Take the A591 from Keswick heading north along the side of Bassenthwaite Lake. At High Side bear right up a minor road and after 300m there is a pull in place with limited parking. 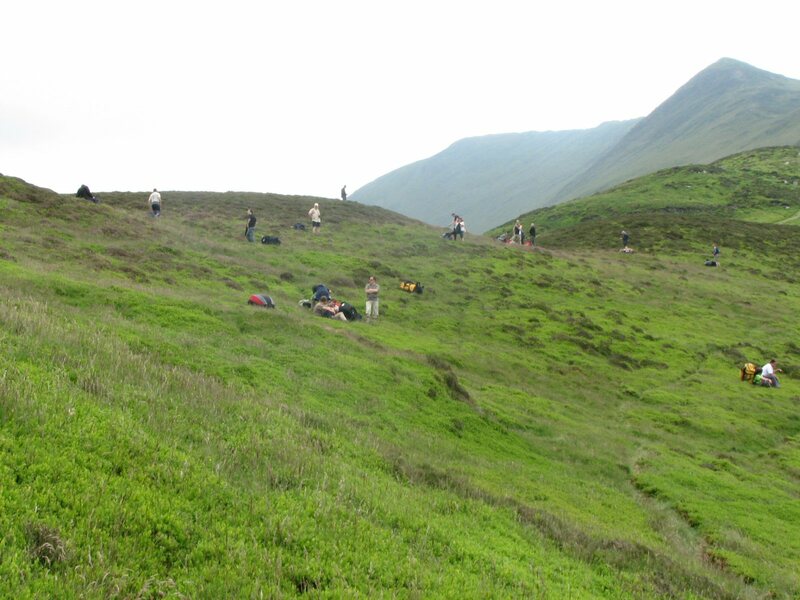 Use the footpath that goes round the north spur of the ridge and approaches the take off area from the back. DO NOT go directly up the field to the wooden stile. If wind goes off to the south it can become violently rough. Electric wires at bottom of landing field. Can take off area from the first knoll or the shoulder. If winds are light there are a few high level landing options. 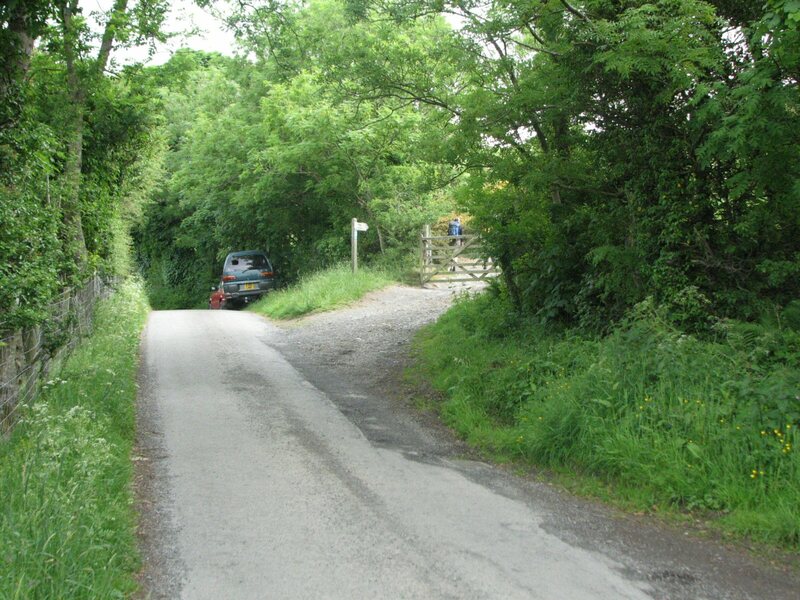 Best bottom landing for PGs is above the car park - but fields do slope away from the hill. Excellent in light to moderate winds but beware of penetration problems in stronger winds. Good XC's have been done from here but not always an easy place to get away from. 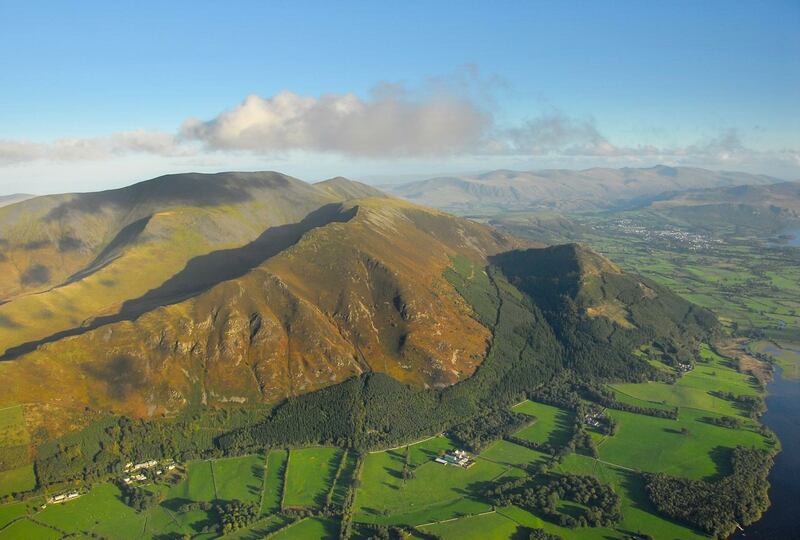 An aerial view of the Ullock Pike ridge and Skiddaw behind looking SE. Ullock Pike is the first ridge in the picture. Take off is the paler area almost directly up the hill from the block of the right hand group white houses on the left hand side. Photo reproduced with the permission of the copyright owner, Andrew McMahon. More pictures can be found on his web site. The start of the footpath up Ullock Pike. The landing field is immediately after the gate. The view from the landing field up to Ullock Pike. You will be pleased to know that take off is at the small col after the heather covered hill, before the main peak in the background. Looking down on the landing field from above the fell wall. The landing field is to the left of the wall running away in the middle of the picture. The field does slope. The take off col which is extensively covered in heather and bilberry. There are some clear areas of grass but small in nature. 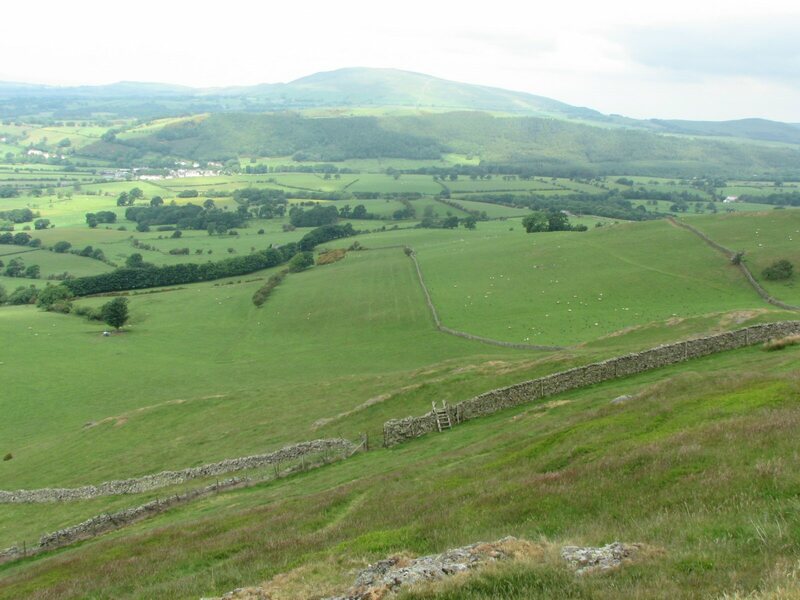 Notes : A XC flight from Ullock Pike via Tebay to north of Redmire in Wensleydale. Brian says "The XC potential from Ullock is very good once you cross the Keswick valley to the Helvellyn range. 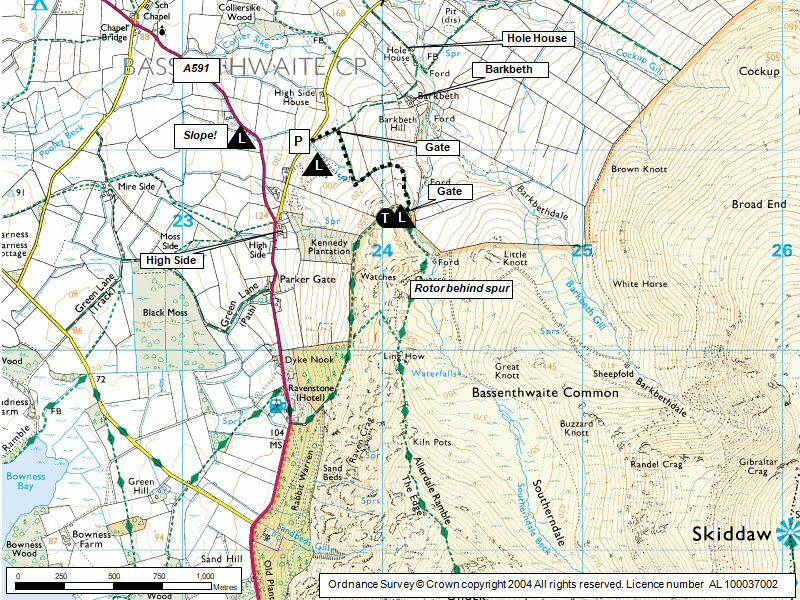 From there you have already added 10 km onto the Clough to Grasmere/Ambleside run and the potential to go over the back onto the Howgills and beyond is great, especially if you can connect with the sea breeze convergence coming up from the South."